The Government has come under fire from all sides of the Brexit debate over its failure to develop a ‘Plan B’ for agriculture in the event of the UK voting to leave the EU. 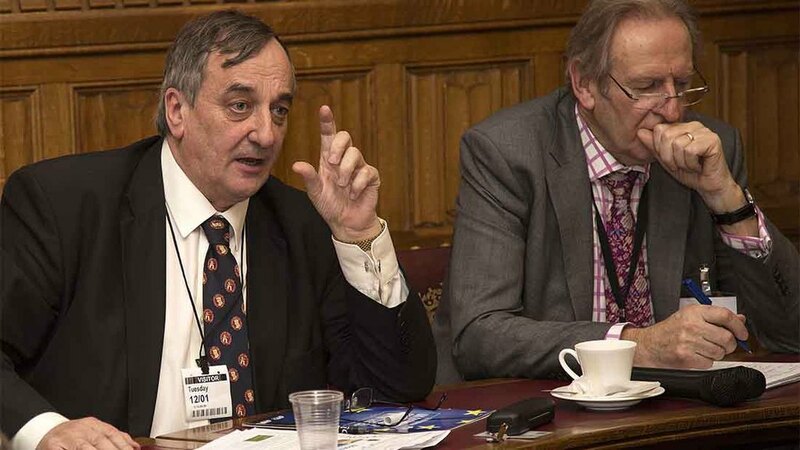 NFU president Meurig Raymond said the information vacuum within Government was creating a ’fear of the unknown’ among farmers as they contemplate which way to vote in the EU referendum, which could take place as soon as this summer. Prime Minister David Cameron was branded a ‘disgrace’ by leading figures in the ‘out’ campaign’ on Sunday when he indicated the Government had ‘no plan B’ in the event of the so-called Brexit. This followed Defra Secretary Liz Truss’ shock admission last week there was no work taking place within her department on an alternative post-EU policy for farmers. At a time of intense market volatility, Common Agricultural Policy (CAP) support currently accounts for, on average, 55 per cent of UK farmers’ income, and nearer to 100 per cent in some cases, he said. The UK’s EU competitors are likely to receive in the region of £70-80/acre (£173/hectare) in future years, he said. But the UK Government, led by the Treasury, has been consistently clear over the years about its desire to slash CAP support, including at least one report calling for the total removal of Pillar One support, he added. “We need that money to remain competitive. If it was denied to UK farming it would have a catastrophic effect on incomes and would be the death knell of farming,” he said, stressing his primary concern was not the level of CAP money going forward but the ability to remain competitive on the EU and world stage. While there would advantages of leaving the EU, led by a new, more science-led approach to regulation, there was also uncertainty over EU market access, particularly for the sheep and cereal sectors, and access to EU labour for the horticulture sector in particular, he added. “We have not seen those plans. There is currently a fear of the unknown and we need answers to all those questions,” Mr Raymond said. Sian Edmunds, a partner at law firm Burges Salmon, and Brian Gardner, a consultant specialising in EU agricultural policy, both predicted big cuts to farm support if the UK left the EU, as well as uncertainty over trade. Mr Gardner said, who has written a report on the implications for agriculture of Brexit, predicted subsidies call fall to one-third of their current level. But Ms Edmunds said: “The nub of the issue is the Government is failing to tell us what the non-EU landscape will look like. Former Defra Secretary Owen Paterson, a leading voice in the ‘out campaign,’ criticised Mrs Truss for ‘not telling us what is going to happen’ and urged Defra to deliver a Plan B. He warned the debate was currently being driven by ‘scare stuff that is not valid’, which was being fuelled in part by the refusal of Government to tell the public how it would handle Brexit. Addressing some of the concerns raised BGAJ debate, he insisted the UK Government would be ’idiotic to slash the CAP’. He predicted it would continue to support UK farmers at, initially, roughly similar levels to today but would formulate a much targeted and efficient policy than the complex CAP, which he said was evolving into a mass EU environmental policy. 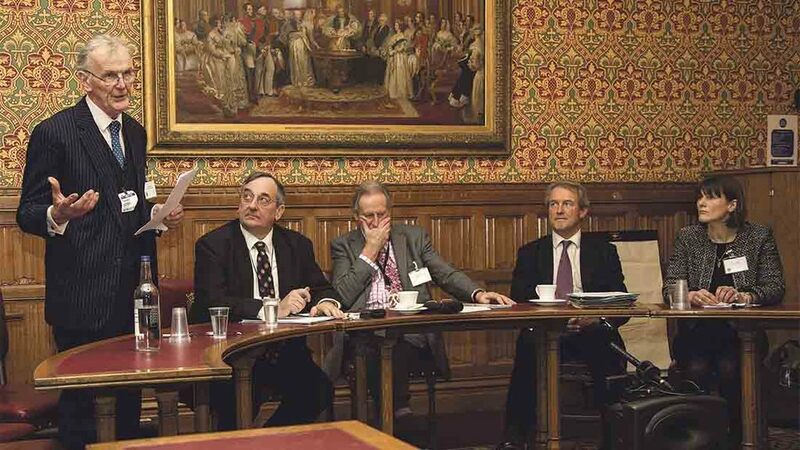 But he urged the farming industry not to ’stuck’ on the level of CAP funding in this debate. "You can't go on just talking the money. It is not your money, it is not politician's money, it is the taxpayers' money. "You have got to explain to them what they are getting - healthy food produced under good welfare regulations but also providing significant environmental and social benefit, keeping life going in rural areas. "There has to be a level of support. I would suggest the same level of support to start with, although it will be an evolving process, but we could adapt it to UK conditions." Support will continue to decline in the EU and elsewhere in the coming years, he added. Mr Paterson, who also debated Brexit with EU Agriculture Commissioner Phil Hogan at the Oxford Farming Conference, stressed the benefits for an independent UK of being to influence regulation on global bodies and of being able to form new global trading relations while still having access to the EU market. EU referendum – what happens next?